response from property - Mar 13, 2019 Thank you for the wonderful review Kortney! I love living at bluegrass....Review From Modern Messagesubmitted by Julia B. - Mar 07, 2019 |Recommended: YesI love living at bluegrass. The staff is very friendly and helpful. I also love how the doors deadbolt as soon as they’re closed, makes me feel very safe. I would definitely recommend living here. response from property - Mar 15, 2019 Julia, Thank you so much for your feedback! Village of bluegrass is my homesubmitted by Malik J. - Feb 21, 2019 |Recommended: YesVillage of bluegrass is a nice place to live my 4 by 4 premium apartment is amazing we have space our own bathrooms. It’s like having your own place but sharing it with 3 other people bluegrass is the place to be. I rate 4.5 because I have e...Review From Modern Messagesubmitted by Carlena K. - Feb 09, 2019 |Recommended: YesI rate 4.5 because I have everything I need in this apartment complex. I have my own bathroom in my room. I have wonderful roommates and neighbors and I love how convenient the Clubhouse is for the residents. 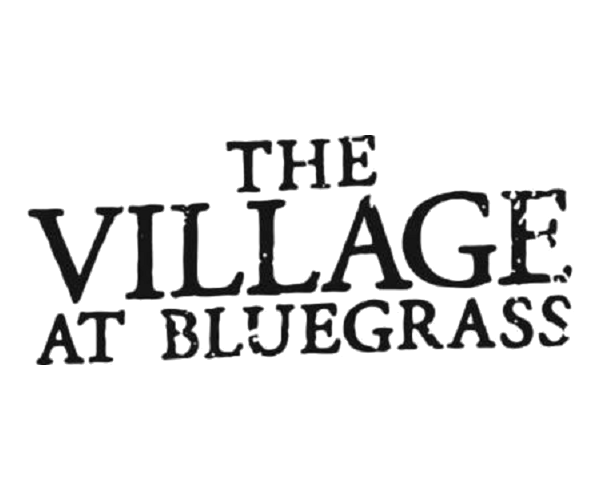 The village at bluegrass of...Review From Modern Messagesubmitted by Mariel K. - Feb 08, 2019 |Recommended: YesThe village at bluegrass offers great ammenities. Our apartment has experienced broken blinds, stovetop, and dryer. Very thin walls cause you to hear neighbors often. It hasn’t been the best, bu...Review From Modern Messagesubmitted by Hayley M. - Feb 08, 2019 |Recommended: YesIt hasn’t been the best, but not the worst. The parking lots are out of control with snow and ice. I’ve called twice in the parking lots. However, I like the gym, the clubhouse, and the tanning options. The WiFi could be improved....Review From Modern Messagesubmitted by Kaitlyn Z. - Feb 07, 2019 |Recommended: YesThe WiFi could be improved. It is constantly going out. Maintanence also needs improvement. We have had a broken dishwasher for a year and a half and they just cancel our requests on it. Other than that, it is a very good complex to live in. “Drug fines”, flooded water...Review From Modern Messagesubmitted by Jake H. - Feb 06, 2019 |Recommended: No“Drug fines”, flooded water heater, multiple broken appliances, and still not given 300 gift card that was promised to me when I signed up to live here. So yeah, living at bluegrass is like living in a trap house. I like living here a lot. I...Review From Modern Messagesubmitted by Allison W. - Feb 06, 2019 |Recommended: YesI like living here a lot. I enjoy the location and the huge living room area. I love the amenities like the hot tub, pool, printing and tanning. I do wish we didn’t have to ask for paper now though as it is a hassle if we don’t have time to print during the day. It is very homey.submitted by Jacob M. - Feb 02, 2019 |Recommended: YesThe apartment and the places I have access to within it are nice. Living at village at bluegr...Review From Modern Messagesubmitted by Rachel S. - Feb 01, 2019 |Recommended: YesLiving at village at bluegrass is nice because I do enjoy the location and the apartment size Although sometimes I feel as if some staff members are not as helpful as possible, and they take away amenities like unlimited printing and only give 20 pages per day. Overall though I would live here again. Bluegrass has been great in...Review From Modern Messagesubmitted by Jordan R. - Feb 01, 2019 |Recommended: YesBluegrass has been great in the sense that they invite its residents to community events for residents to interact and get to know each other. They’ve also been very accommodating especially in the winter season such as plowing our sidewalks and lots as well as salting our stairs.